Generally speaking, a dependant is someone that lives with you and relies on you for care and support on a daily basis. For most, dependants are typically under the age of 18. However, a dependant can also be someone over the age of 18 that suffers from a physical or mental impairment, who doesn’t live with you, and who is completely dependent on your support. Based on your dependant’s age and eligibility, you might be able to claim the following dependant deductions and credits. 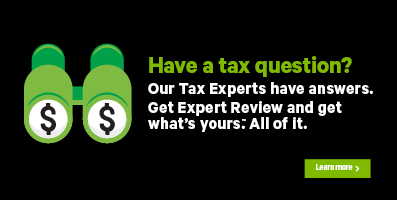 Click the links below for more information on each deduction or credit amount. *For 2017 and subsequent tax years, the Canada caregiver credit has replaced the amount for infirm dependants age 18 or older, caregiver amount, and family caregiver amount (FCA). ** The public transit expenses can only be claimed for amounts paid until June 31, 2017. Note: Even if you’re claiming someone as a dependant, he or she might still have to file their own tax return. Many of the above deductions and credits also have a corresponding provincial or territorial tax credit. For example, if you live in Ontario and are eligible to claim your federal amount for adoption expenses, you might be able to claim a provincial tax credit for the same expenses. In other cases, where federal deductions have been eliminated (such as the children’s fitness and arts amounts or the education and textbook amounts), certain provinces have kept the corresponding provincial/territorial tax credit. For example, residents of British Columbia, Manitoba, and the Yukon can still claim the children’s fitness and arts amounts. Refer to the CRA website for more information on which provincial deductions and credits you can claim for your dependant(s). Before you begin, make sure that you’ve told us about your dependants. Click the name of the dependant on left-hand navigation panel. Select the dependant expenses or credits that apply to you then click Continue. When you arrive at the page for the expense or credit you’re claiming, enter your information into the tax software.